Originally, it was the island's beauty that attracted settlers to Norfolk. 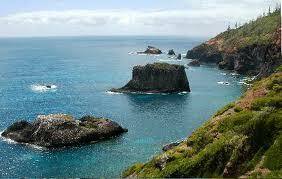 Packed with vibrant flora and fauna, Norfolk Island stood out as an earthly paradise. Indeed, Captain Cook was so impressed with Norfolk's inherent beauty and potential, that upon its discovery he claimed it for the British. 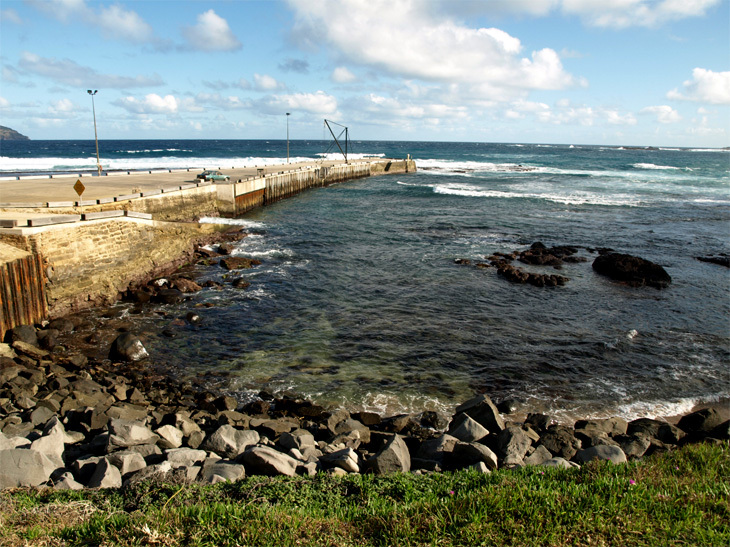 Though the picturesque landscape was cast briefly into shadow with the establishment of two ill-fated British penal colonies, a third colonization in 1856, this time by the neighboring Pitcairn natives, reversed Norfolk's brutal beginnings and successfully revitalized the island. 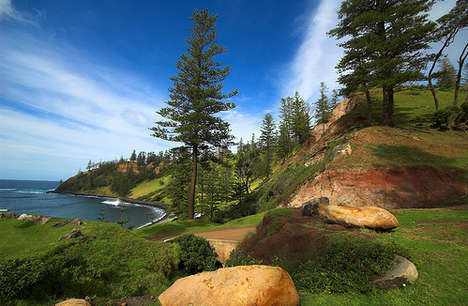 Norfolk Island may be little known to outsiders, but to all those fortunate enough to have vacationed there, this subtropical paradise is remembered as the South Pacific's true gem. Perhaps Norfolk is an island best described in terms of the contrasting elements that make it so appealing to visitors of all ages and backgrounds. On one hand it exudes the quaint charm to be expected from a three by five mile island surrounded by shimmering oceans and populated by roughly only 2,000 people. On the other hand, its rich culture, breathtaking geography and haunting history make it an exciting escape. In old Kingston Town, the ghastly air of torment has been replaced by the locals' warm generosity, but the architecture and appearance of the town itself remain unaltered. 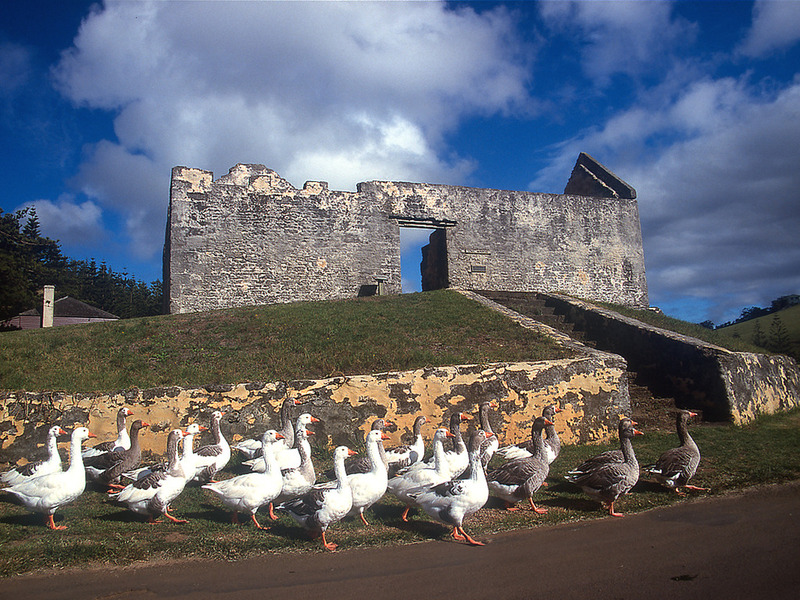 Four museums have been added to the town's array of limestone buildings, and there are several hiking trails that wind around the island, highlighting both the area's raw beauty and the history left behind amid its towering pines. All along Norfolk's trails offer spectacular views, whether of hollowed out trees rumored to have housed runaway convicts or WWII radar installations. For those hoping to spend as much time as possible outdoors, there are numerous carry-out food vendors, such as the oft-praised Ocean Blue, to supply the perfect picnic lunch. Many of Norfolk's restaurants serve quality beverages, which when combined with the stunning sunsets make for the perfect segue into the local nightlife. Hilli's Wine Bar and Restaurant is particularly popular. For visitors, "The Trial of the Fifteen" and the "Sound and Light" Show are must-see productions, illuminating Norfolk's eerie past with legendary tales of its penal days. Glaas Bohtam Boet nocturnal tours allow travelers the opportunity to view the reef-protected lagoons and fluorescent corals under the moonlight. 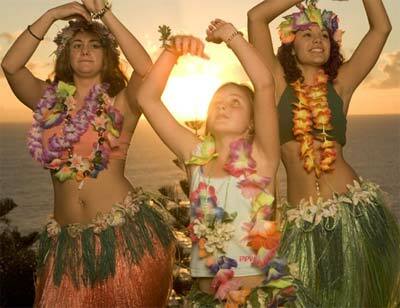 The island's popular dancing venues offer an invigorating way to unwind at the end of the day. With its penal days in the past, Norfolk has indeed resumed its role as a bit of paradise. While it's no surprise that Norfolk Island's cuisine is rich in fresh seafood and homegrown vegetables, some of the menu items offered are indeed entirely unexpected. Stefano's Italian Restaurant and Pizzeria serves genuine Italian courses, including award-winning gelatos. The highly recommended Garrison restaurant specializes in modern European cuisine. Specifically catering to visitors, Norfolk Island residents have managed to combine their Polynesian-style specialty dishes with local culture. They will guide tourists through myriad island homes and eateries to take in a four-course meal while exploring the accompanying surroundings.